For good while, 2016 was looking to be a tremendous opportunity for the theater industry to grow. Coming off some optimistic stock reports at the end of March, the collective business was looking at next year as being full of surefire tentpole hits galore, rising concessions sales and experimental aesthetic viewing options. Yet, the latest forecast from Wall Street soothsayers seem to indicate that 2016 will be anything but superb. According to an analysis appearing in Deadline, the exhibition industry may want to lower expectations for 2016. If Eric Wold of investment firm, B. Riley & Co. is correct in his forecasting, then it looks like domestic box-office sales will actually drop by 5%, after just experiencing an encouraging 8% rise in 2015. In fact, the effect is already being felt as stocks for companies, Regal, AMC, Cinemark and Carmike are all down. Apparently, the cause of the current and impending decline has come down to delays of just two films: Avatar 2 and Star Wars: Episode VIII. Wold initially gave 2016 a more optimistic forecast when supreme level tentpole sequels for the Avatar and Star Wars sequel trilogy were looking to end the year with a glass-shattering high note, with both films originally expected to hit in December. However, Star Wars: Episode VIII was never etched in stone for the year and its eventual release set for May of 2017 was not a huge surprise. However, Avatar 2, the long-awaited sequel to James Cameron’s 2009 3D pastoral crowd-pleaser would recently implement a delay to 2017, due to the logistics of synchronizing three simultaneous sequels. Each of those films were estimated to separately add about $500-700 million to the collective numbers. Suddenly, with the simple shift of dates, over $1 billion or 4-6% was taken from an annual figure that was grading on a curve. The loss of those guaranteed blockbusters seems to leave little room for any further optimism for 2016. That speculation would be the catalyst for unusually high stock prices for the theater companies after surprisingly high numbers for Quarter 1 of 2015. Yet, the higher the rise, the bigger the potential fall. Aspects such as ever-rising ticket prices -- justified with luxury seating and the serving of alcohol -- have been cited as being a possible boon for the industry, but at the end of the day, the only thing that truly provides certainty to investors is the lineup of titles, which seems to have suffered a major setback with the loss of the two aforementioned mega-movies. 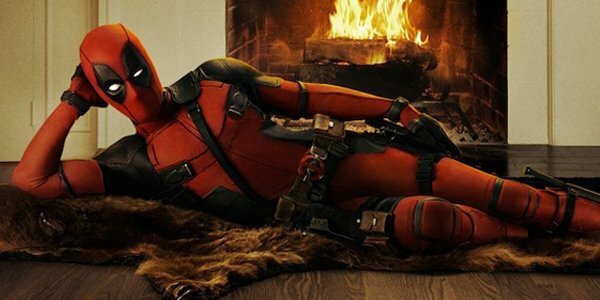 The idea that 2016 is already being preemptively painted with disappointment is an odd concept to grasp; especially when there’s just so many potential moneymakers on the menu that year such as Deadpool, Batman v Superman: Dawn of Justice, Teenage Mutant Ninja Turtles 2, Star Trek 3, Captain America: Civil War, Fantastic Beasts and Where To Find Them and X-Men: Apocalypse, just to name a few. Plus, Star Wars-centric moviegoers will not be going hungry after having their appetites whetted with The Force Awakens in December 2015, since the first spinoff film, Rogue One will, in fact, be taking off in December 2016. Additionally, there is always the possibility of some sleeper hits making up for the projected deficit. Of course, "possibilities" are probably not something in which investors place a great deal of priority regarding their decision-making, and the potential for mass divestiture could make for a rough year, despite the potential performances of those surefire 2016 hits. For an industry that’s finding itself constantly battling the ever-changing mediums through which people digest content, the fact that the threshold between perceived success and failure for a particular year could depend on TWO movies, both of which are sequels, says a lot about the precarious line that is constantly being walked.